We recognize the sun as one of the only sources of energy that will provide us with long-term livelihood security. We have dedicated our efforts to pasture/grass based farming. Pasture refers to land covered with grass and other low plants suitable for grazing animals including cattle, sheep and goats. 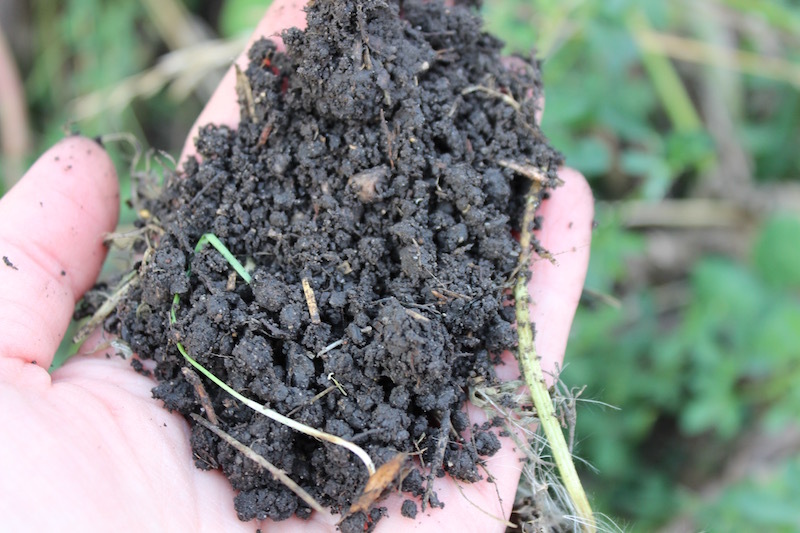 Healthy pasture relies on the sun and various biological processes including those that occur in healthy soil. Our focus is on creating healthy soil, healthy pastures, and healthy animals by promoting the growth of healthy perennial polycultures. Naturally we want to avoid things that harm the soil. We focus on enhancing soil quality and health by trying to understand the energy flow, water and mineral cycles on the farm. At Luna Field Farm soil building is managed through permanent pasture stands and planned grazing. In our efforts to build soil and enhance soil health through pasture management we also hope to increase stable wildlife habitat and encourage species diversity. We want to build resiliency into our land and farming model. Our animals are moved frequently through various pasture stands. They graze down forage, deposit their nutrient rich manure and trample vegetation into the ground making food for the soil life. Animals are not returned to an area until it has been improved as a result of grazing management. 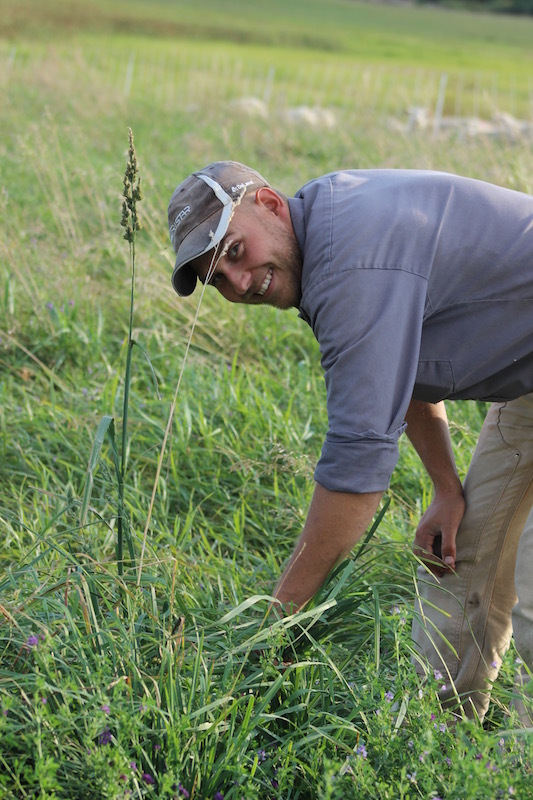 Pasture “improvement” is determined by assessing rate of regrowth, plant density, and increased diversity of a stand. We also check soil profiles and groundcover to measure increased soil organic matter. The rotation can range from a few months to a year. In the winter months we feed the animals out in the fields using a technique called “bale grazing”. Rather than brining the hay to the animals in a corral or inclosed area and concentrating the nutrients in one location, the hay bales are placed out on the pasture. The animals move from one bale to another, effectively distributing their nutrient rich manure and urine.